Christmas has just come 343 days early (or 22 days late, depending on how you look at it). Daniel Du from ADN has created a wizard for Visual Studio 2012 that creates and configures a Vault plug-in project for you. 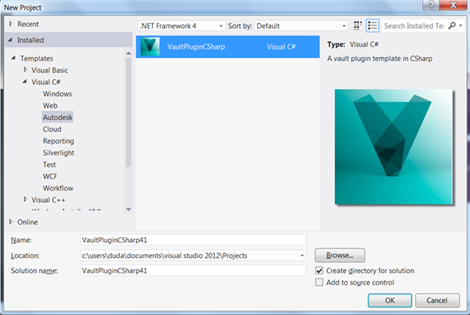 If you use the Vault API, you owe it to yourself and all future generations to get this Visual Studio wizard.